Q. What can I do to prevent bad breath? A: Brushing and flossing help control the plaque and bacteria that causes dental disease. Plaque is a film of food debris, bacteria, and saliva that sticks to the teeth and gums. The bacteria in plaque convert certain food particles into acids that cause tooth decay. Also, if plaque is not removed, it turns into calculus (tartar). If plaque and calculus are not removed, they begin to destroy the gums and bone, causing periodontal (gum) disease. Plaque formation and growth is continuous and can only be controlled by regular brushing, flossing, and the use of other dental aids. Q: What is the proper way to brush my teeth? Always keep the brush at a 45 degree angle to the gums, gently, using a small, circular motion, ensuring that the bristles clean under gums. Q. What is the proper way to floss my teeth? A. Daily flossing is the best way to clean between the teeth and under the gum line. Flossing not only helps clean these spaces, it disrupts plaque colonies from building up, preventing damage to the gums, teeth, and bone. Curve the floss into a “C” shape around each tooth and under the gum line. Gently move the floss up and down, cleaning the side of each tooth. 4. Q. Do I need to rinse my mouth? A. It is important to rinse your mouth with water after brushing, and also after meals if you are unable to brush. If you are using an over-the-counter product for rinsing, it’s a good idea to consult with your dentist or dental hygienist on its appropriateness for you. In office teeth whitening: This treatment is done in the dental office and you will see results immediately. It may require more than one visit, with each visit lasting 30 to 60 minutes. While your gums are protected, a bleaching or peroxide solution is applied to the teeth. A special light may be used to enhance the action of the agent while the teeth are whitened. A: With many state-of-the-art dental treatments and prevention options available in dentistry today, there are fewer reasons for having to extract (remove) teeth. When something does go wrong with a tooth, we try to do everything possible to restore the tooth to its original function. Removing a tooth is the last option because we know that removal may lead to severe and costly dental and cosmetic problems if the tooth is not replaced. 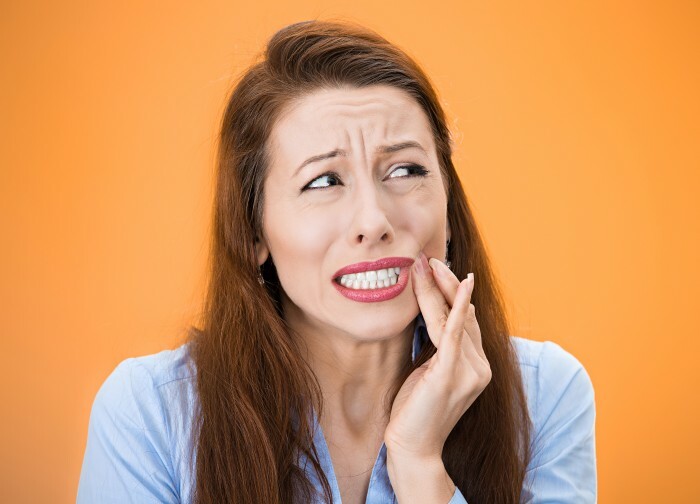 Losing a tooth can be a very traumatic experience and it’s very unfortunate when it does happen. Injury, accident, fracture, severe dental decay, and gum disease are the major reasons for having to remove a tooth. If teeth are lost due to injury or have to be removed, it is imperative that they be replaced to avoid cosmetic and dental problems in the future. When a tooth is lost, the jaw bone that helped to support that tooth begins to atrophy, causing the teeth on either side to shift or tip into the open space of the lost tooth. Also, the tooth above or below the open space will start to move towards the open space because there is no opposing tooth to bite on. These movements may create problems such as decay, gum disease, excessive wear on certain teeth, and TMJ (jaw joint) problems. These problems and movements do not result immediately, but will eventually appear, compromising your chewing abilities, the health of your bite, and the beauty of your smile. Implants – Are a great way to replace one or more missing teeth. They may also be great to support ill fitting dentures. A dental implant is an artificial root that is surgically placed into the jaw bone to replace a missing tooth. An artificial tooth is placed on the implant, giving the appearance and feel of a natural tooth. Implants are very stable, durable, and are the most aesthetically pleasing tooth replacement option. If you are missing teeth, ask us if they need replacement and what options are available to you. Together we will select the best replacement option for your particular case. Prevention and early treatment is always less involved and less costly than delaying treatment and allowing a serious problem to develop.